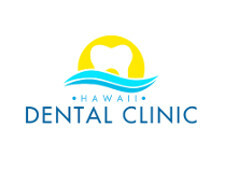 Hawaii Dental Clinic was founded as a small, one-dentist office in 1983 by Dr. Roger T.L. Wong. From the beginning of the practice, Dr. Roger and his team were committed to providing high-quality care to all patients. Over the resulting decades, the office grew to accommodate multiple doctors, hygienists, and administrative staff. Today, Hawaii Dental Clinic is a fully modern dental facility. We employ digital diagnostic equipment such as the Orthoralix DDE Panoramic system, Gendex digital sensors, intra-oral cameras, and an integrated system of X-Rays and patient charts. Current diagnostic tools enable our dentists and hygienists to identify the true source of dental problems and to accurately diagnose dental-related disease. Although we have increased our office size over the years, our main office location has always been in the Kukui Plaza commercial plaza at the intersection of South Beretania and Bethel Streets. Our dental office location near Downtown and Chinatown enables us to serve a wide variety of patients who live and work near the heart of Honolulu. Our front office staff is knowledgeable regarding all forms of dental insurance. We would be happy to analyze your current insurance and provide you with an estimate of cost prior to receiving treatment. For patients without insurance, our fees are set at a usual, customary, and reasonable amount determined by major dental insurance companies nationwide.